The nuclear agreement between Iran and the world powers is being thrown into jeopardy by US President Donald Trump. How is Iran preparing itself for a potential throwback to the days of sanctions and confrontation – and what will it mean for the already troubled Middle East? 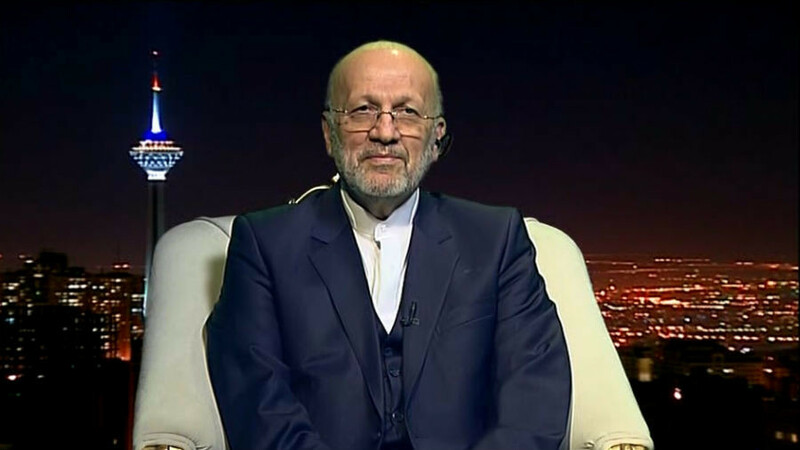 We ask the former foreign minister of the Islamic Republic of Iran, Manouchehr Mottaki. Sophie Shevardnadze: Manouchehr Mottaki, welcome to our show, it’s a pleasure to have you on our program. President Trump has been talking so much about scrapping the Iran nuclear deal, but now has promised to keep it in place. He wants to renegotiate it, since according to him, some of the terms contradict American interests. Iran’s Foreign Ministry says the deal is non-negotiable. Does Iran feel it can push America here, so Trump will cave in and just leave the deal as it is? Manouchehr Mottaki: A comprehensive negotiation took place, lasting for a long long time, and all the parties agreed on the nuclear deal, on Iran’s peaceful nuclear activities. And then the Americans - not just in the new government but even in the time of Mr. Obama - they have changed their practical position towards this deal. We can say that so many articles of the deal have been ignored by the Americans. And for the time being, the United States are insisting on renegotiation or on some new topics they are raising, which are not related to the deal. That’s why officials in Iran insist that the deal is not a “re-negotiable” issue. At the very beginning of the Trump’s government, the Americans raised the matter of terminating the nuclear deal. I don’t think the Americans are looking for termination of this deal because they know how beneficial was the agreement for all parties, including the Americans. SS: Mr. Mottaki, let me ask you a very straightforward question. Try to answer it straightforwardly if you can. At what point will Iran consider the deal dead and renew its nuclear programme? When does Iran say ‘Too much is too much, that’s it’? MM: In my understanding, if everybody in this deal turns aside from this agreement, it will mean the agreement is dead. For the time being, the Americans took such a position. They have not terminated the deal. But they do believe we should keep the form of the deal, but damage the substance of the deal. This is the strategy of the United States. And from time to time, they take the case of sanctions to the Congress and make trouble for all the parties. SS: What will Iran’s response be to the new sanctions the U.S. has imposed on it? MM: We do not have any will for economic relations with the United States, while they don’t want to have such a relation with Iran. Then, sanctions of the U.S. are not important for us. What is important is the reaction of other P5+1 members to these sanctions. Till now, some countries have tried to show that these sanctions have been somewhat effective. But with the new position of the U.S. EU from one side and Russia and China from the other side have announced their different positions towards the United States reaction to the deal. If they follow their position, as the Commissioner of the EU mentioned, or if Russia and China on a different occasion announce their position, in such circumstances, the U.S. will be ashamed for their own position. And nobody follows their policies regarding this deal. SS: Earlier France hinted that the EU could discuss new sanctions against Iran over its missile ballistic programme. How does that go along with the European backing of the nuclear deal? MM: Till now, the EU have been supporting the deal. Supporting the deal consists of two different parts. One part is encouraging Iran to be committed to the deal. And the second part is their commitments to lifting the sanctions in practice - though, yes, they did vote for lifting the sanctions. This is the point. In other words, if Iran feels that this deal has benefit for Iran, definitely, it will be committed. If not, we’ll not be committed. This is the point. SS: The Supreme Leader of Iran said that using national currencies instead of the US dollar will make Iran and its partners immune to sanctions. Do you think this is a good way out of the situation? MM: In the recent economic session and commission between Iran and its partners they were talking about using the national currency in bilateral economic relations and economic cooperations. I think this is a separate but a very important topic and the countries should consider it very seriously. SS: When do you think it will happen? When do you think you’re going to start using the national currency? MM: I think the new movement has just started. For example, in our region, between Iran and Russia, Iran and Turkey, maybe between Russia and some other partners, between Iran and some other countries in and out of the region, we have decided to use our national currency in our trade, in our economic relations and cooperation. I think, every important thing should start from somewhere. This is a good start for removing the imposed effectiveness of one single currency against the world economy. I think this movement has started now. SS: French Foreign Minister Yves Le Drian has recently accused Iran of ‘hegemonic temptations’ in the region. The Iranian Foreign Ministry spokesman has called France’s approach ‘biased and partisan’ in response. But just last month, Iran’s president Rouhani said that no decision can be taken in Iraq, Syria, Lebanon, North Africa or the Gulf region without Iran’s consent. So, maybe Mr. Le Drian really has a point here? MM: It is not hegemony. It is based on two different approaches to the same development [of events] in the region. For example, we have faced the crisis of Daesh (ISIS), we have faced the problems of Iraq, Afghanistan, Syria and, nowadays, Yemen. These are different crises. The difference is different views on these crises. When you look through the realities of the region, you will understand at some point that if you don’t follow the realities you will not reach a correct solution to these crises. This is the point. Iran had the chance to follow the right strategy regarding the crises we have been facing in our region during the last 30 years. SS: Mr. Mottaki, you have mentioned a very important crisis - Yemen. And I would like to ask you a question about this. The Saudi invasion of Yemen was explained as a check against Iranian influence in the country. Saudi actions in Syria, Qatar, Bahrain are also explained as not letting Iran entrench itself there. Is the Iranian threat just used to explain everything that Saudi Arabia does or are they genuinely afraid of Iran? MM: In Yemen a mistake took place, and that was starting a war against this country - aggression against the nation of Yemen. This is the problem, this is the crisis. If we don’t look into the root of the crisis we cannot find a solution to that. The chance for Iran is in looking at the crisis from the root point of the issue. And from the very beginning our position was quite clear. But, unfortunately, some countries encouraged the aggressor to continue its war against Yemen in the state of mediation, taking part in the ceasefire, in stopping the war and cooling down the conflict. SS: On November 4, Saudi Arabia intercepted a missile launched allegedly by Hezbollah from Yemen’s territory occupied by Houthi rebels. Riyadh was quick to blame it on Iran - and Iran officially denied sending the missile. But Mehdi Taeb, the brother of the Iran’s Revolutionary Guard intelligence chief, said that the Guard tried to send missiles to the Houthis three times, stopped by President Rouhani. Who’s to say there wasn’t a fourth time? MM: If we look into the history of Yemen, nobody could attack Yemen successfully in the past. And the government of Yemen have been concentrated on the issue of defense for the last 30-40 years. Today, the possibility of manufacturing defense equipment, including missiles - it is not very difficult. So Yemen had such a possibility. And turning the missile issue away from Yemen is a strategy which has been very well-known from the past - just putting the blame on another country or looking for another party to say this is their mistake. Iran denied giving missiles to Yemen, very openly and very clearly. I’m going to talk about the Iran’s position towards solving the crisis in the region. Iran is located in this region. Iran will be affected by any crisis. That’s why Iran should be sensitive to anything happening in this region. What happens in Yemen, in Syria, in Iraq and in Afghanistan - it affects Iran’s security, Iran’s national interests. And definitely we will try to show the best way out of this crisis. This is what we have done for Iraq, for Syria. This is what we are going to do for Yemen. For Yemen we’ve had several negotiations with different parties. And our position was quite clear. SS: Mr. Mottaki, you’ve mentioned Syria, and the BBC is saying that Iran is building a military base in Syria - does Tehran plan to establish a permanent military presence in the country right now? MM: Having a military base or military cooperation between two independent countries is their right. If Iran and Syria, Iran and Iraq, Iran and any other independent country decide to expand their economic cooperation, as well as military cooperation - is it against international law or regulations? No! That is quite normal. SS: You spoke a lot about ISIS during this interview. Iran’s been very invested in the conflict against ISIS in neighboring Iraq as well - committing advisors, helping organize Shia militia units, sending other kinds of aid. What is Tehran expecting in return - a lasting and strong influence on Iraq through those new, capable Shia militias? MM: I think now it’s quite clear that ISIS should be considered as a real crisis for the whole world. Now the founders of ISIS reach to this point that who creates fire should reach to a typhoon, who creates wind should reach to a typhoon. And ISIS does not believe in anything. ISIS was a tool of the Americans, of the Israelis and, unfortunately, was supported financially by some oil countries in the region - in order to make the region unsecure. And not only this region. Nowadays, we can see the effectiveness of ISIS activities in your country, in China, in Indian subcontinent, in Europe - here and there. This is the crisis. But Iran’s position from the very beginning is completely correct - looking into the root of the crisis and insisting on bringing out the root of this crisis. And that’s why we’ve announced we are behind and on the side of any party who would like to fight ISIS. We have been honest with Iraq and Syria. And, fortunately, the last cities in Syria and in Iraq were cleared of ISIS. And it was a great victory based on resistance, on trusted cooperation between the regional countries. It created confidence-building among the countries in the region including Iran, Iraq and Syria and other countries who have the same position. What will be the result? Iran and Iraq, two countries who had 8 years of war together, nowadays are definitely deepening their confidence-building. Which is very important. MM: Never did Iran believe that oil is a weapon of war. This is one point. The second point is, Saudi Arabia, unfortunately, since the last two years has stopped its diplomatic relations with Iran, and it doesn’t have the will for positive cooperation between Iran and Saudi Arabia and correct approach to the crisis in the region. But some topics and issues, like OPEC, like oil prices, it seems that de facto cooperation is taking place. Not only between OPEC members but also non-OPEC oil-producing countries. The reason is that oil hasn’t got its proper price. And for an oil-producing country, this price is not a normal price. We may be not looking for a very high price, which in the past was 140-150 USD, around those figures. But the current price is not a real price. In the past, 3-5 years ago, unfortunately, the policy of Saudi Arabia was defending the low price of oil. For some reasons, which I don’t want to go into, it was considered as pressure on some specific countries in the region - like Iran, Russia, Iraq… This was a common position of our countries - 5 years ago Saudi Arabia was moving in that direction. But at the last OPEC meeting some of Iran’s proposals and its position to keep the capacity of Iran’s oil production were accepted even by Saudi Arabia, and this shows that there is some capacity for cooperation in practice. That’s why I’m optimistic for such a cooperation not only between the OPEC members but also between all oil-producing countries in the future. SS: Mr. Mottaki, thank you very much for this interview and for being with us today. We were talking to Manouchehr Mottaki, Iran’s former Foreign Minister, discussing the future of the nuclear deal and Iran’s role in the Middle East. That’s it for the latest edition of SophieCo, I’ll see you next time.